Following a national workshop on the Lesser White-fronted Goose organized by the UNEP/AEWA Secretariat together with the Ministry for Natural Resources and the Ecology in Baku in May 2011 - which launched the drafting of a National Action Plan for the species - the Secretariat organized a small-scale Lesser White-fronted Goose field mission in February 2012 in cooperation with both the Ministry, the Azerbaijan Ornithological Society (AOS), WWF Finland and the Norwegian Ornithological Society. The field survey in search of additional Lesser White-fronted Goose sites confirmed the importance of Azerbaijan for the species, with some 300 additional wintering LWfG counted at Aggol National Park. In addition, basic identification training was organized for the wardens at Kizil Agach Nature Reserve. 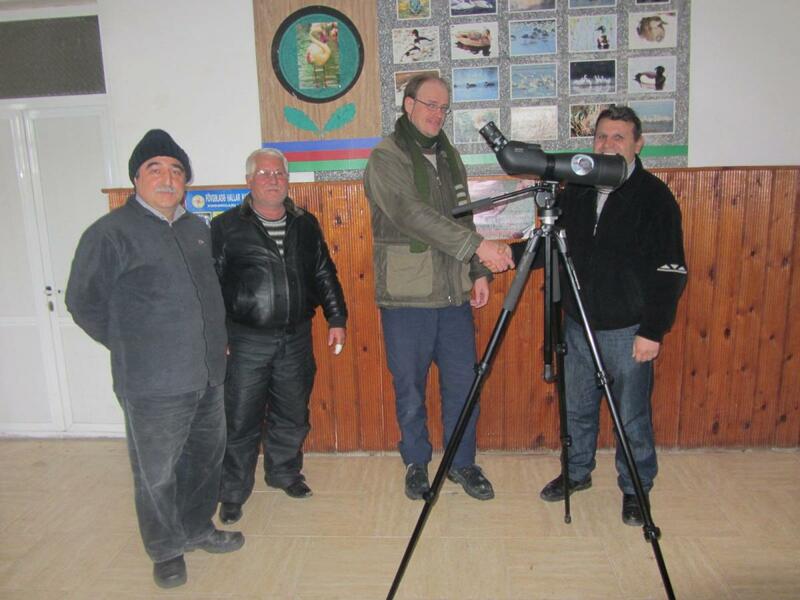 This included the donation of two telescopes which will be followed by a donation of 10 binoculars being made available by RSPB as well as 20 field guides on waterbirds in Russian. 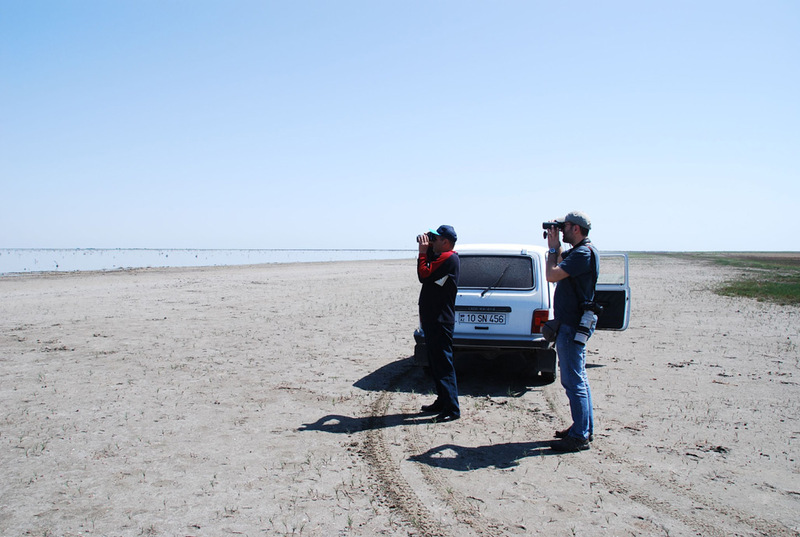 Monitoring data confirms that hunting pressure on waterbirds - particularly at Kizil Agach State Nature Reserve - remains extremely high in Azerbaijan. Future project activities will therefore include the additional strengthening of the national capacity in LWfG identification and monitoring. In addition, the UNEP/AEWA SEcretariat will continue to cooperate closely with the Azerbaijan Ornithological Society and the Ministry of Natural Resources and the Ecology to try to establish an awareness-raising program directed at local hunters, particularly those living in the vicinity of the key National Parks. The 2012 small-scale field mission is also foreseen to be followed up by a second survey in January/February 2013, with the international experts again joining National Park staff at key sites for the monitoring of wintering LWfG.